The Nile monitor (Varanus niloticus) is a large member of the monitor family (Varanidae) found throughout much of Africa, but is absent from the west, where it is replaced by Varanus stellatus. The Albino Nile Monitor, which in fact doesn’t suffer from albinism, rather a rare skin defect called Leucism, a condition in which there is partial loss of pigmentation in an animal resulting in white, pale, or patchy coloration of the skin, hair, feathers, scales or cuticle, but not the eyes. This rarity has caused this lizard to be sold for top dollar, going from about 10,000 dollars. The most expensive Albino Nile Monitor to be sold fetched a whooping 1 million dollars! 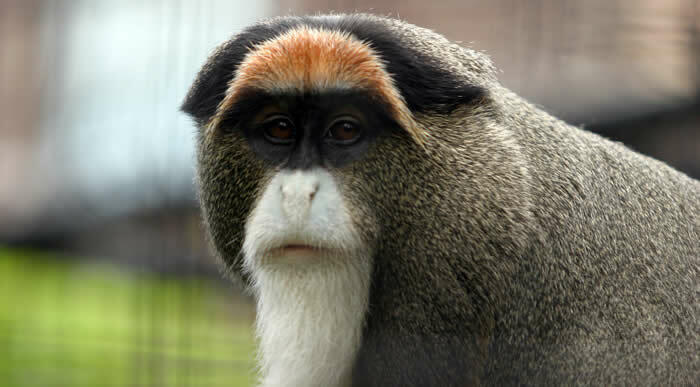 The De Brazza’s monkey (Cercopithecus neglectus) is an Old World monkey endemic to the wetlands of central Africa. It is one of the most widespread African primates that live in forests. It was named by French explorer Pierre Savorgnan de Brazza. The De Brazza’s Monkey has good hiding abilities and therefore usually hard to find, making it difficult to attain an accurate species count. If you do manage to find and catch one though it retails at an impressive $7,000-$10,000. Lavender Albino is a color mutation that is recessive. 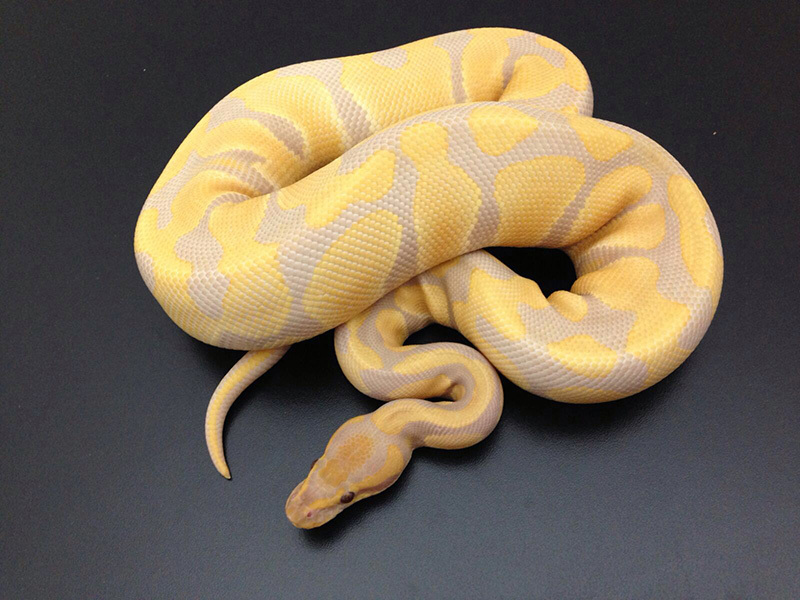 Much like the normal albino, however, develops into a lavender base color (where the white is on a normal albino) with yellow pattern with a deep red eye color. The yellow tends to be more sharp and defined and have rich golden yellow undertones. What many will call a true “High Contrast” snake; these are still highly coveted in private collections today. They are found in west Sub Saharan Africa from Senegal, Mali, Guinea-Bissau, Guinea, Sierra Leone, Liberia, Ivory Coast, Ghana, Benin, and Nigeria through Cameroon, Chad, and the Central African Republic to Sudan and Uganda. Common ball pythons often sold for only $15 to $20 each. In 1992 the first albino ball pythons were sold in the United States for $7,500 each. 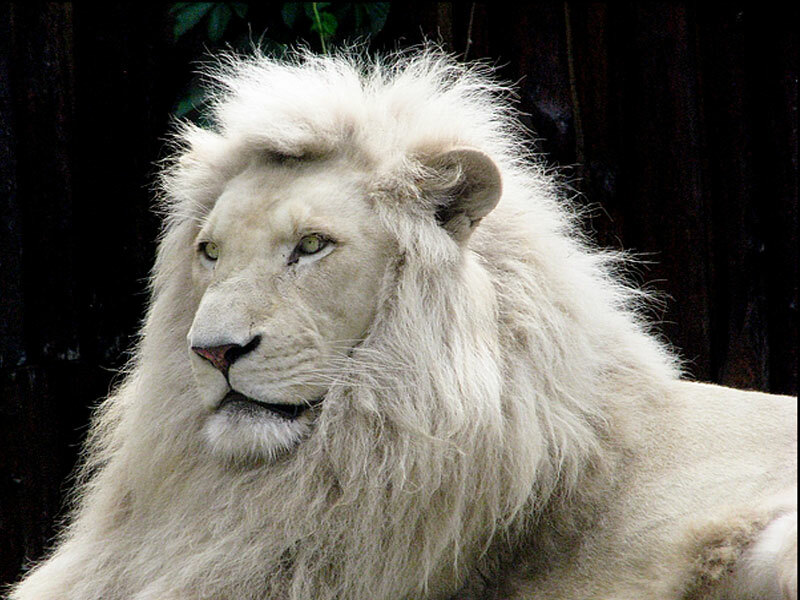 The white lion is a rare color mutation of the lion, specifically the Southern African lion. White lions in the area of Timbavati were thought to have been indigenous to the Timbavati region of South Africa for centuries, although the earliest recorded sighting in this region was in 1938. Regarded as divine by locals, white lions first came to public attention in the 1970s, in Chris McBride’s book The White Lions of Timbavati. Their white color is caused by a recessive trait derived from a less-severe mutation in the same gene that causes albinism, distinct from the gene responsible for white tigers. They vary from blonde to near-white. Exotic cats range in price from a $900.00, but a White Lion Cost $138,000! The African buffalo or Cape buffalo (Syncerus caffer) is a large African bovine. Syncerus caffer caffer, the Cape buffalo, is the typical subspecies, and the largest one, found in Southern and East Africa. A few years back the record for the most expensive animal ever sold in South Africa was set at R40 million for a Cape Buffalo by the name of Mystery. This particular Cape buffalo had a massive horn span.